Board Members: Greg Nagel, Neal McKnight, KK Goh, Dana Palmer, Stephen Rynkiewicz, Scott Rappe and Tom Tomek. Non-Board Members: Marjorie Issacson. Meeting commenced: 6:35 p.m.
Tom and Paula Tomek completed the design for street signs. Now, Tom Tomek will speak with Ronda Locke and Ald. Proco Joe Moreno about getting permission to have the signs hung throughout the neighborhood. Tomek will also begin to research companies to produce the signs. Neal McKnight will contact Roots owners to obtain a copy of the final letter with concessions agreed to and have the letter published in the EVA newsletter. According to Scott Rappe, the site at 1601 W. Division has been sold. So, Rappe is pulling together interested parties such as the Chamber of Commerce, EVA and the Polish Triangle steering committee to meet on May 21 and speak about development options. This is to gather a general consensus of what development would be acceptable to neighbors and to provide that information to the alderman. The public-relations agency for Walgreens is asking for the liquor moratorium to be lifted so that they can begin to sell liquor at 1650 W. Chicago Ave. Greg Nagel has asked them to submit an article to the newsletter about what they are asking from EVA. Then this issue will be called to a vote at a general membership meeting. Two properties at 814-820 N. Wood are set for demolition. McKnight and Rappe met with the developer and the alderman regarding preserving the existing buildings on those sites. However, zoning permits have already been issued and plans are under way to build a 6-unit building and a 3-unit building. McKnight and Rappe are looking into the details of the zoning and plans of the developer to find out if there is a way of keeping one of the existing buildings. Nagel spoke with owner Eddie Radwan and his representatives about the board's decision to not have a general membership vote on lifting the liquor moratorium so that he can start selling liquor. Nagel was informed that there are plans to keep moving forward with the plans for the bowling alley with a potential opening date in 2012. Nagel and KK Goh will meet May 12 to obtain a new post office box at the U.S. Postal Service location on Ashland Avenue. 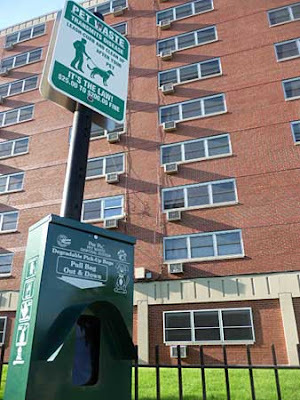 Dana Palmer will look at possible dog poo bag dispenser options and then collaborate with the alderman's office about purchasing those dispensers for the neighborhood. According to McKnight, Mark Duntmann's company will be completing the tree survey in 6-8 weeks. The board agreed that the majority of the litter in the neighborhood has to do with lack of enforcement for the handbill ordinance. McKnight agreed to write an article for the newsletter about the ordinance and how to report violations to 311. June 6: Frank Gross, new police commander for the Wood Street station. Business minute: Scott Rappe with ask Lauren Yucan with Real Naked Food. July 11: Nagel will ask Streets and Sanitation Supt. Manny Gonzalez.